If you’ve ever bought or sold a used car, then you understand the unique anguish of the process. Ale Resnik, CEO and cofounder of online car dealer Beepi, knows that anguish well, too. Arriving in Massachusetts from Buenos Aires, Argentina, to study at MIT, the engineer and his wife set out to buy a used car. They brought home a 2010 Jeep Liberty. “The engine ended up catching fire while my wife was driving it 48 hours later,” Resnik told Business Insider. So he created Beepi — his third startup — an online marketplace that lets people buy and sell cars entirely on their smartphones. A variation of this concept started in 2000, when eBay Motors introduced people to a world of buying and selling vehicles online, but you couldn’t complete the process from start to finish on the internet. It was also impossible to know the true condition of the car you were buying, or whether it was sufficiently inspected. Beepi’s mission is “to remove the friction from the process of buying and selling a car,” Resnik said. 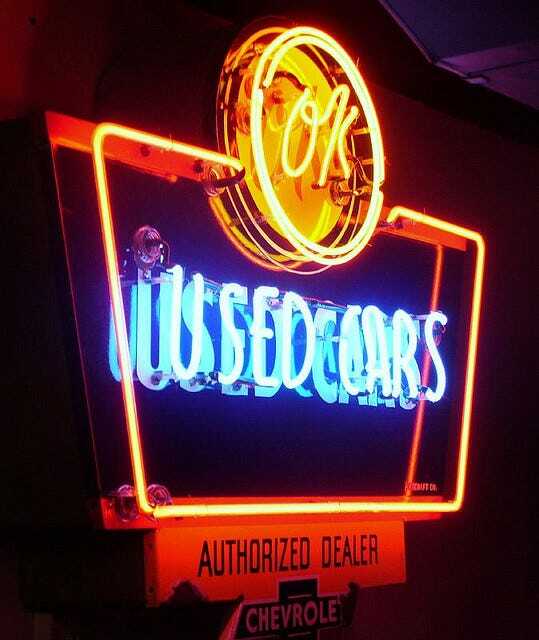 The used-car industry has grown into a multibillion-dollar monster in the years since the recession ended, and demand for pristine, pre-owned vehicles is stronger than ever. In 2015, people in the US bought more than 2.5 million certified pre-owned vehicles — up 9% over the previous year, according to a report from Autodata. Beepi is among several online car-dealer startups that are raking in millions in venture capital, proving that this segment of the market is ripe for innovation. Buyers can choose their car on the app, get a full report on the car’s condition from Beepi’s licensed inspectors, and complete the purchase via mobile. Customers can read all about the inspectors’ backgrounds because their LinkedIn profiles are linked from Beepi’s website. 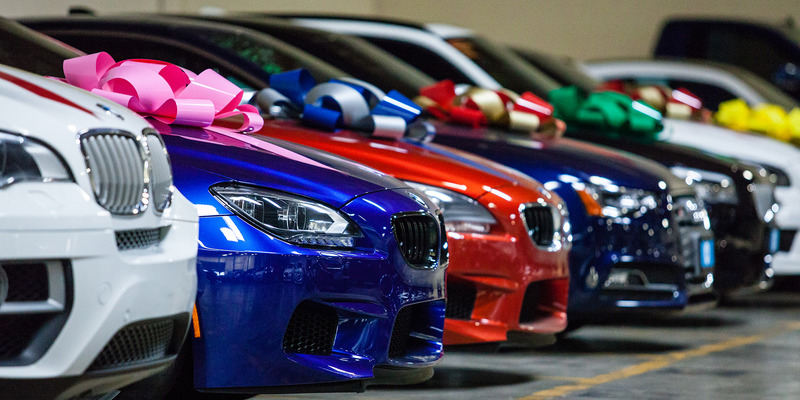 After the purchase, the car shows up at the buyer’s doorstep with a big bow on it. The difference here is that there’s no test drive involved. Instead, buyers are given 10 days to return the car for a refund if they change their minds. BeepiOne of Beepi’s warehouses, where vehicles are prepped for delivery. Beepi sends an inspector — all of whom are share-owning employees at the company — to evaluate the seller’s vehicle. If the nearly two-hour checkup is successful, Beepi makes an offer to the seller, who is paid when the car finds a new owner. “The average Beepi car sells within 10 to 12 days,” Resnik told Business Insider, noting that traditional dealers like CarMax can take up to two months to move some cars off the lot. 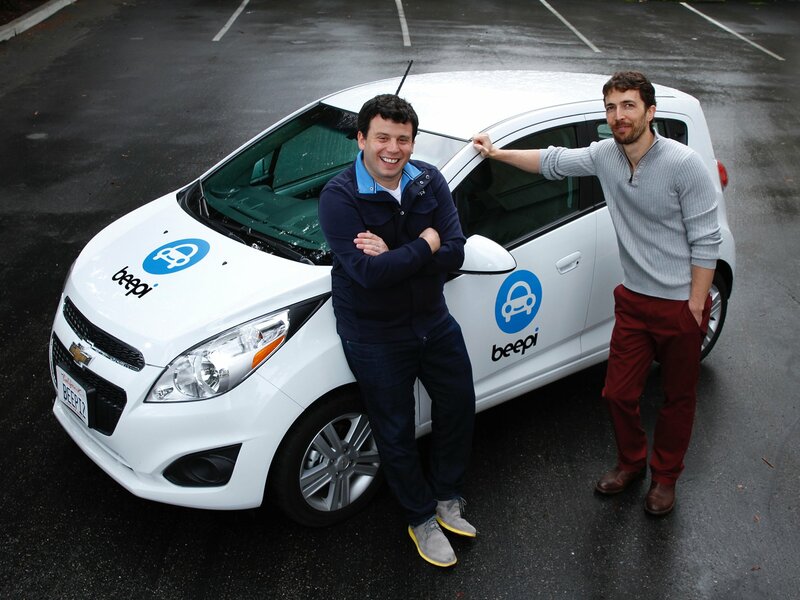 When the car sells, Beepi writes a check to the seller, while keeping a roughly 10% cut of the proceeds. The Los Altos, California-based company has already established itself in a space where consumers are buying and selling more than ever on mobile. Fresh off its most recent fundraising round that brought in about $70 million late last year, Beepi now operates in 15 US markets across nine states, including California, New York, the Washington, DC, metro area, Texas, and Florida. China’s largest domestic automaker, SAIC Motor Corp., is also backing the company. Despite a whirlwind 2015, Resnik’s 20-month-old company is keeping its foot on the gas. “From December 2014 to December 2015, our revenue grew more than 1,000% across the board,” he revealed. In addition to marketing and selling used vehicles, Beepi’s streams of revenue include loan partnerships with Ally Financial and Chase Bank, among others. Additional products are in the pipeline. The company, which now employs 170 people, just added an advisory board featuring heavyweights in finance, politics, and law. Among them is economist and former US Treasury Secretary Larry Summers. Also on Beepi’s advisory board: Jim Messina, former Obama administration deputy chief of staff, who has also consulted with Uber and Airbnb. As with any major disruption of an established industry, there will be opposition. In Beepi’s case, the startup has encountered some blowback from independent car-dealer groups, who likely stand to lose the most if the online car-dealer model becomes the new standard. And if the venture-capital frenzy for these companies is any indication, things appear to be moving in that direction. Competitors in the space include Shift, which has a similar model to Beepi, except that it promises to deliver cars to you if you want to test drive them before you buy. Shift raised $50 million in a funding round led by Goldman Sachs last fall. Vroom, a New York-based online car dealer, raised $54 million in July and another $95 million in December. the truth nevertheless I am going to definitely come back again. I must spend quite some time learning a lot more or figuring out more. Thanks for fantastic information I had been trying to find this info for my mission. the internet users, who are wishing in support of blogging. content? I mean, whatever you say is valuable and all. and clips, this blog could undeniably be one of the best in their field. this web page, and your views are pleasant designed for new visitors. the sector tend not to understand this. You should continue your writing. I’m sure, you might have an incredible readers’ base already!